Warwickshire's importance in the nation's games industry is to be celebrated as the county plays host to an inaugural event in Leamington Spa early next year. 'Interactive Futures' will offer a range of sessions and opportunities across three days for some of the world's leading games professionals, content creators and curators as well as game players and families. Hosting the conference is the culmination of nearly 30 years in which the area has established its reputation as a hotbed of talent and innovation in the industry. Leamington Spa is the heart of Warwickshire's games community and, along with surrounding towns including Warwick and Southam, is fast developing a reputation as one of the country's leading centres of gaming outside of London, with the cluster known locally as 'Silicon Spa'. Around 130 of the UK's best gaming companies are based in the West Midlands, creating 3,000 to 3,500 full-time employees (FTEs). Over 50 of these companies are situated in and around Leamington Spa with between 2,000 and 2,500 FTEs working there, over 10% of the total UK games development workforce. It is a fast-growing industry. According to UKIE (The Association for Interactive Entertainment) the games industry generated an estimated £224 million in Gross Value Added (GVA) in the West Midlands of which £188 million came from the Warwickshire companies in 2015 and figures have been growing ever since. Local names include Playground, Codemasters, Exient, Sega Hardlight and a recent addition, Ubisoft Leamington. Warwickshire businesses have, over the year, been behind some of the industry's greatest successes including Colin McCrae, F1 and Forza Horizon. Recent developments have included mobile hits for Disney, Warner Bros and Sega. 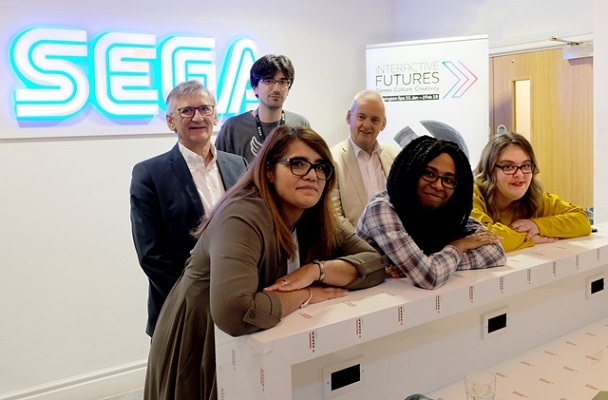 Warwickshire County Council, alongside SEGA and Ubisoft, is supporting initiatives like Digital School House, developed by industry trade body UKIE, to encourage the development of a diverse and talented pipeline for creative industries. Bridging the skills gaps, and supporting a more exciting pathway into computer science, is key to delivering success and the Digital School House programme is one way of doing this. Cllr Izzi Seccombe, Leader of Warwickshire County Council, said: "The figures for the games industry show just how important it is to the future of Warwickshire. The county, the district and other partners work extremely hard with the industry to make sure that they have access to grants and the right workforce with the right skills to help them to continue their growth." 'Interactive Futures' will take place at the Royal Spa Centre on Friday 1 and Saturday 2 February, will celebrate the heritage and success of 'Silicon Spa’s games community, whilst also providing a platform for all UK-based games professionals to gain industry insights, network and collaborate. The event is backed by Warwickshire County Council, Warwick District Council and Coventry and Warwickshire Local Enterprise Partnership.